Keep tabs on your account activity wherever you happen to be with our Online & Mobile Banking. You can check your balances, make a transfer, pay bills, deposit a check, access your statements and so much more - all from your computer, tablet or smartphone. Keeping your financial information safe and secure is priority number one for us. We use the best available security, firewall and encryption technology to ensure that your accounts are safe. We protect your information with advanced login security that identifies you as the true owner of your accounts by recognizing not only your password but your computer as well. If you log in from a different device than what you usually use, we'll ask you for information that only you will know as an additional line of defense to prevent unauthorized access. Advantis Online Banking can save you both! Handle most of your banking needs without leaving your home or office. 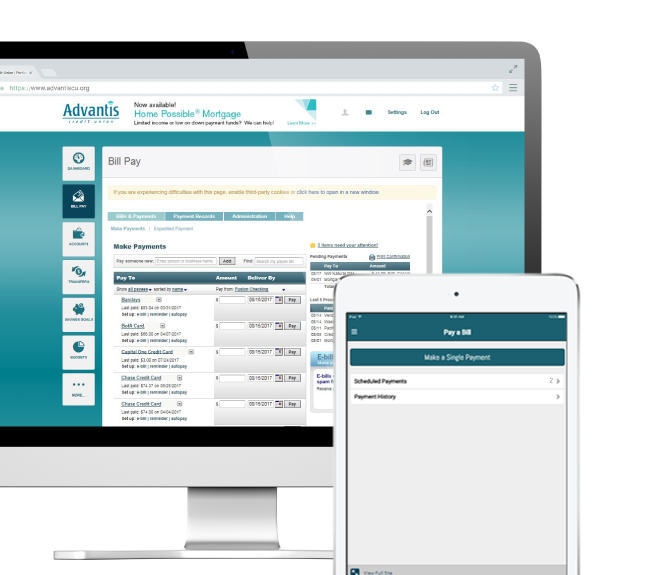 Login from anywhere you have internet access, 24/7, to review your financial information and manage your accounts. Explore all Online Banking has to offer! 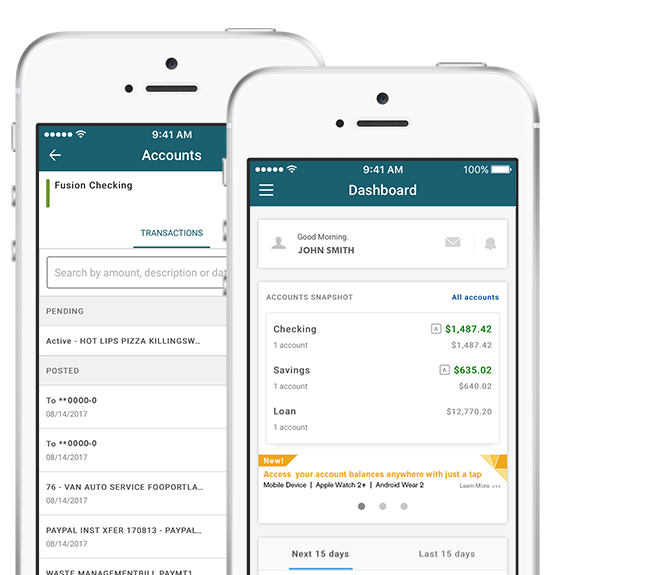 Mobile banking gives you secure, on-the-go management of your accounts! So go ahead, check balances, transfer funds, get account updates and even deposit checks – wherever you are, whenever you need. No branch visit required. 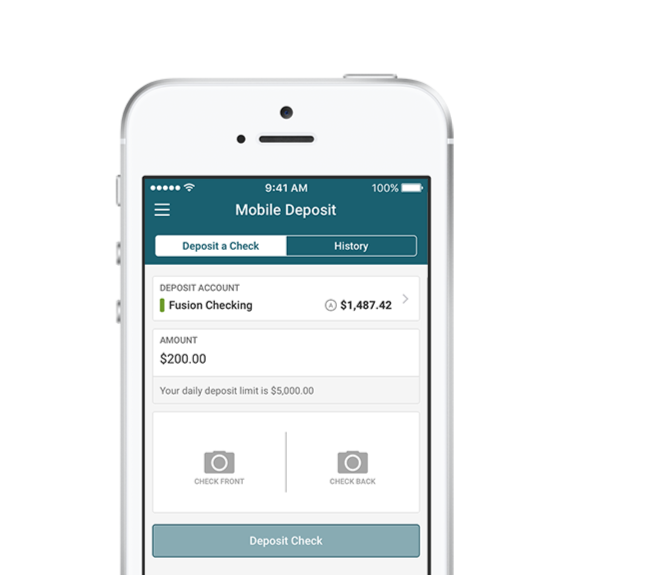 Depositing your next check is as simple as snapping a photo and a few taps on your iPhone, iPad, or Android phone. Read more about our Mobile Deposit service. Make stamps a thing of the past. 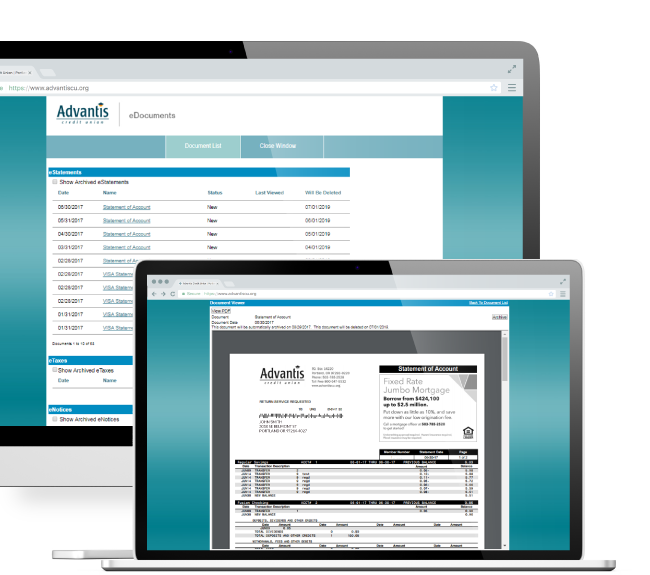 Save time and money by consolidating all your bills to one site and paying them electronically. With only a few clicks, you can set up and send secure payments. Never worry about missing a payment again. Tired of keeping track of paper statements? We’ve got the solution for you! 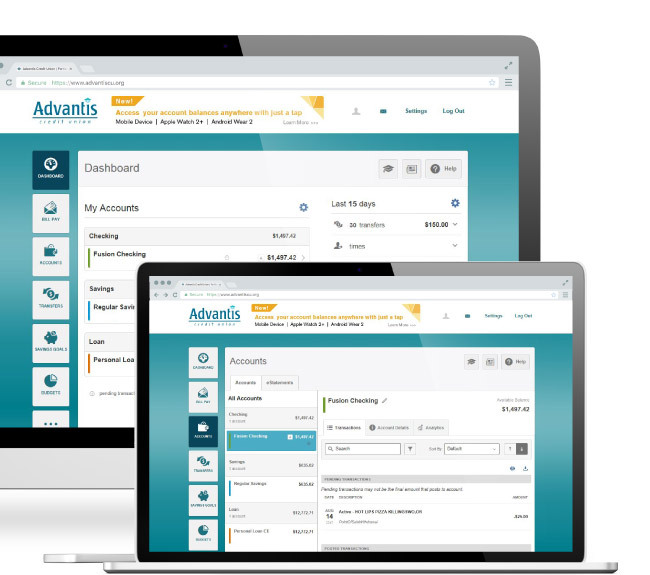 Advantis eStatements are exactly the same as your paper statements but better – reduce paper clutter, help the environment, and get monthly statements faster and safer on your computer! The more private way to pay. Mobile Wallet allows you to make purchases in an easy, secure and confidential way with a single tap of your finger. 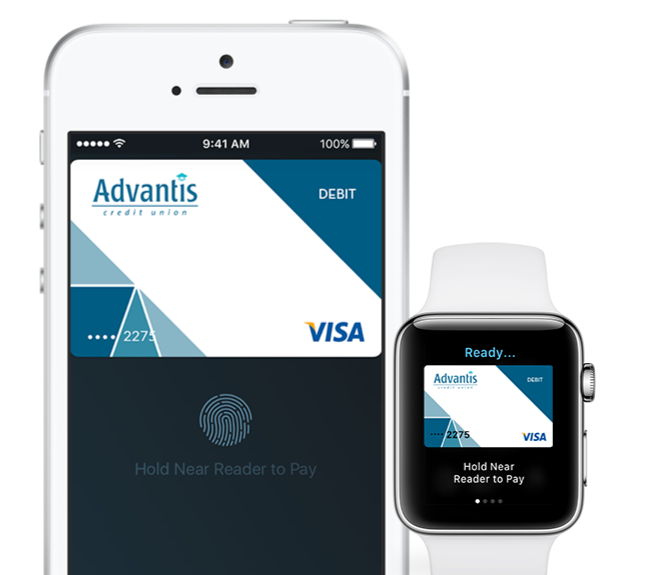 Use Mobile Wallet and your Advantis debit or credit card to make purchases without actually swiping your card or entering your information online.